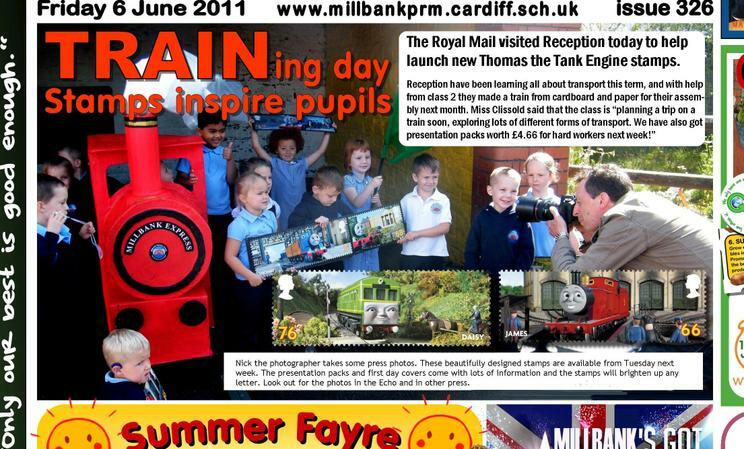 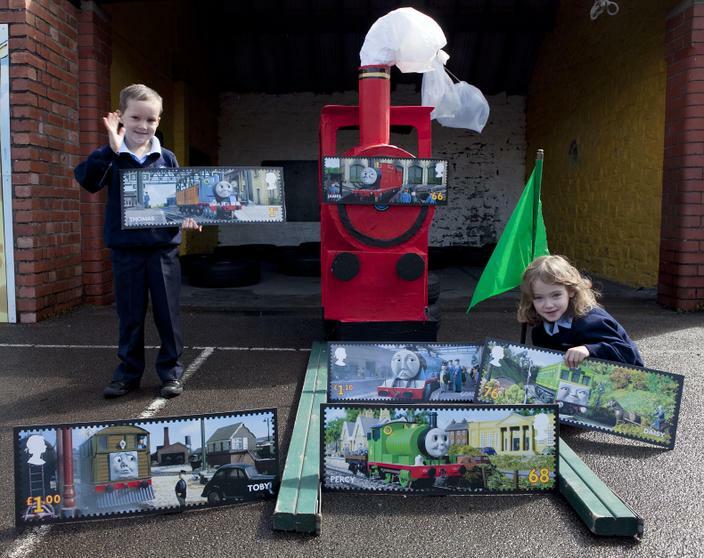 The Royal Mail launched it's new range of 'Thomas the Tank Engine' stamps on 14th June. 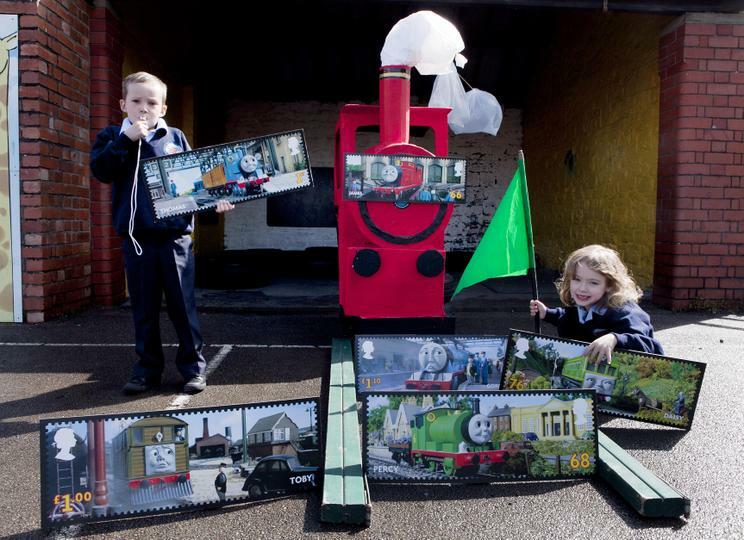 This was to mark a 100years since the birth of Rev Wilbert Awdry the author of the series of books. 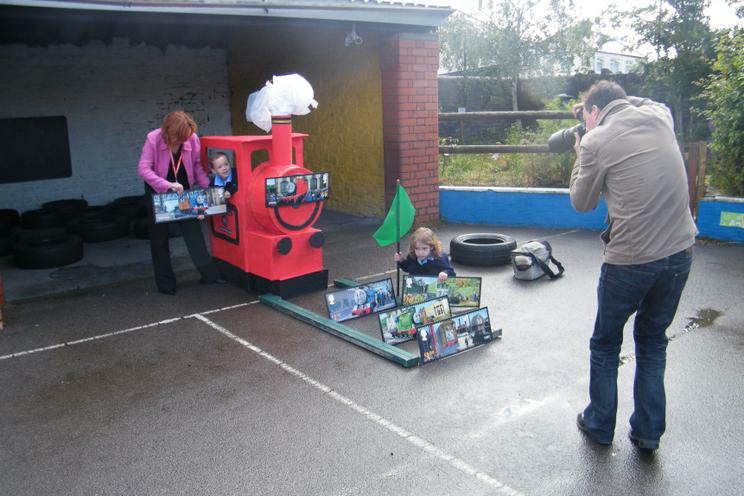 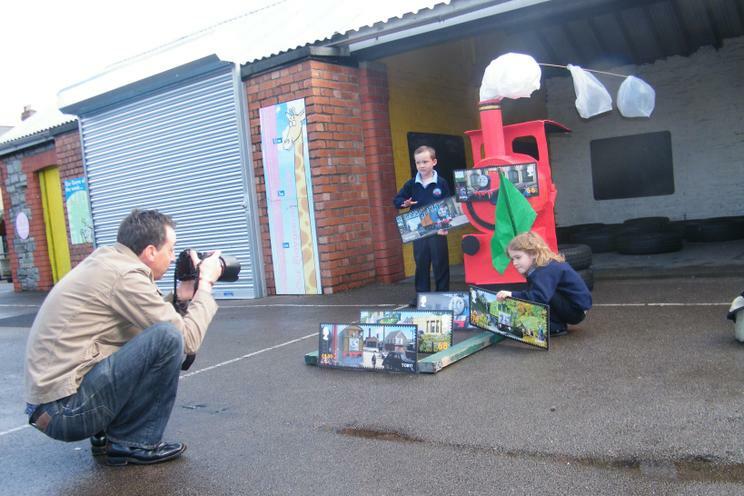 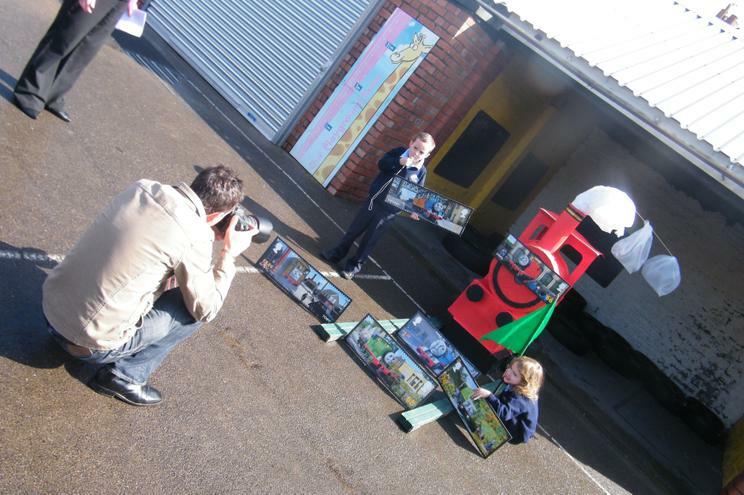 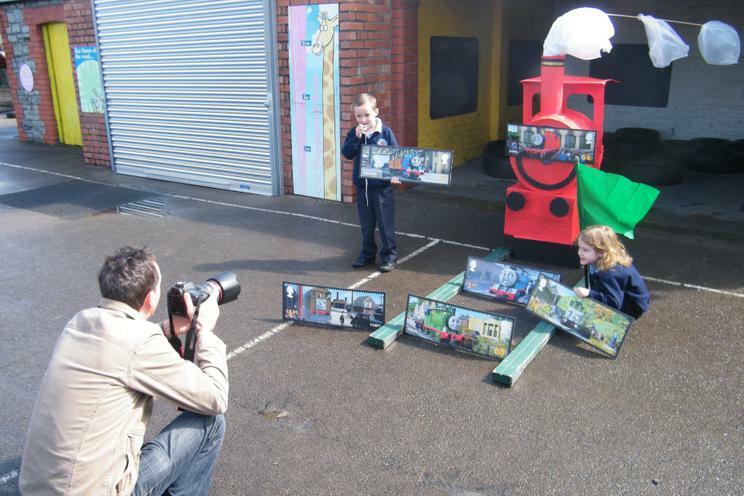 Photographer Nick came into Millbank to take some photos with the children with the new stamps. 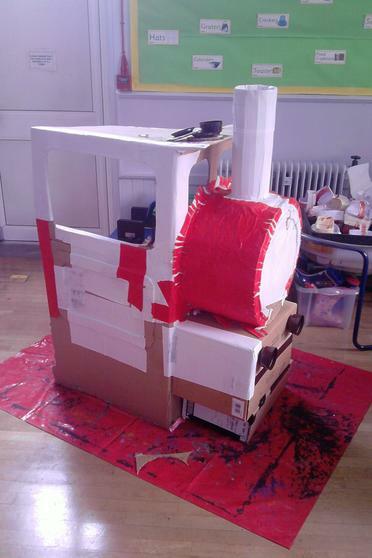 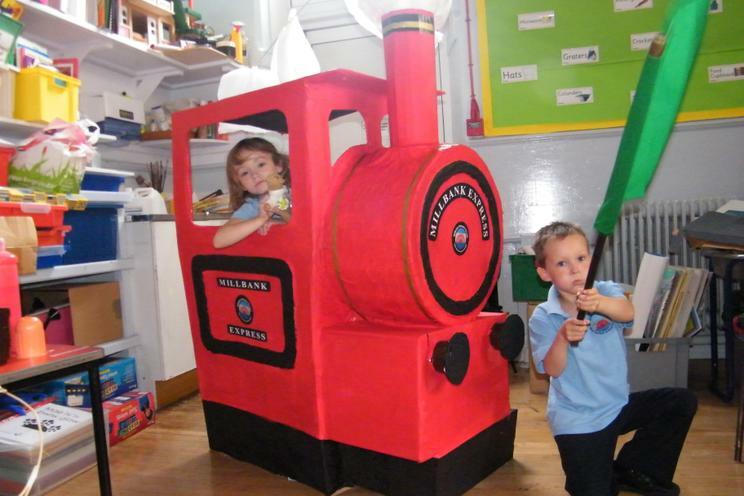 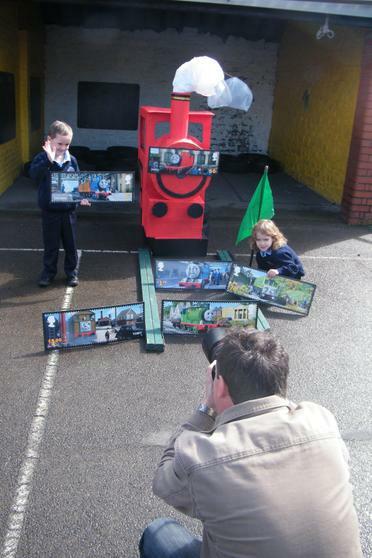 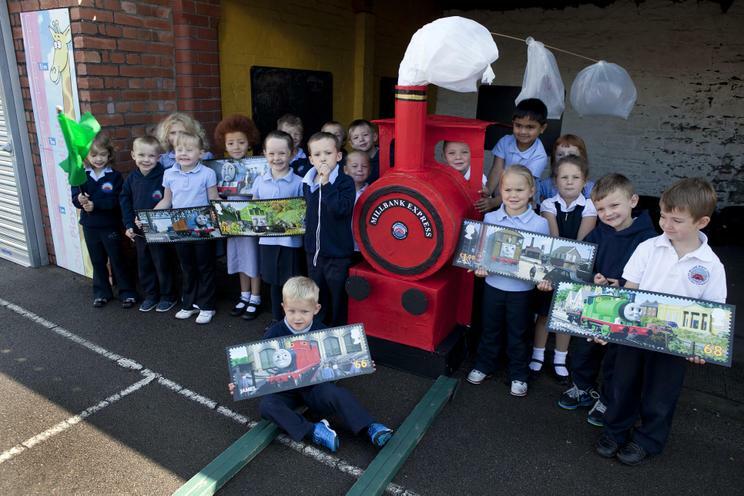 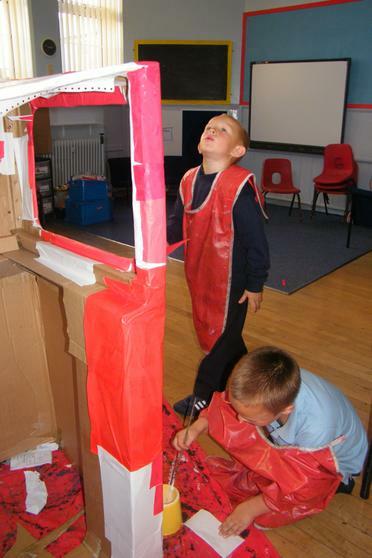 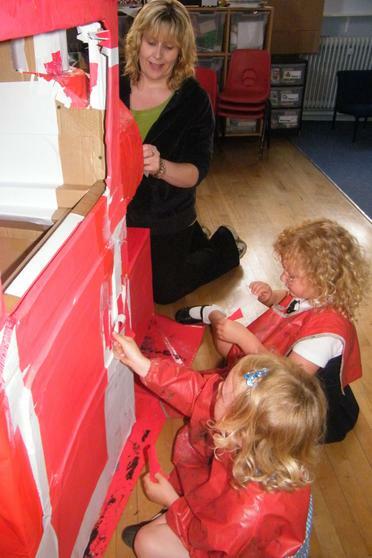 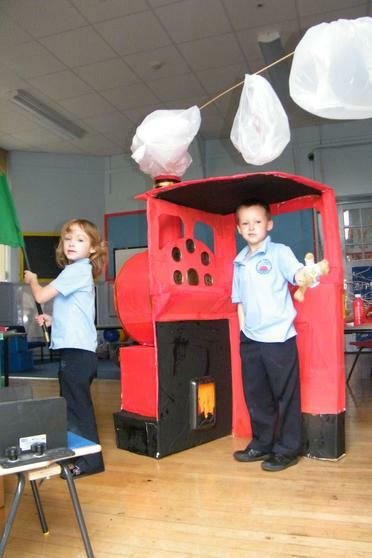 They posed alongside their Red train that they made for their class assembly. 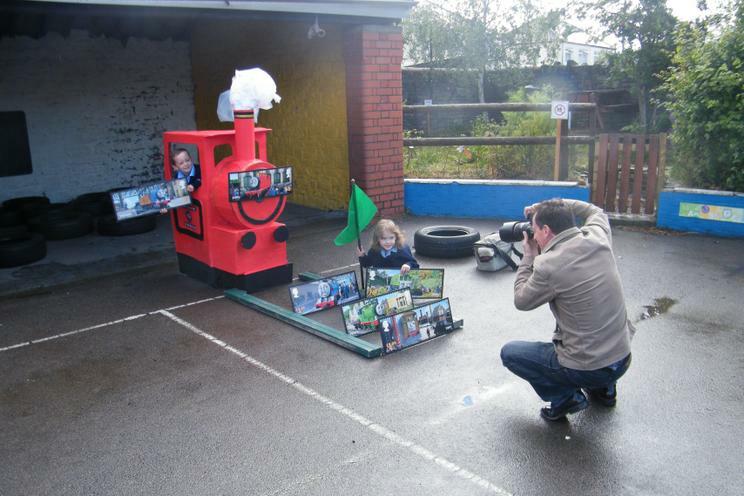 We saw how the photographer arranged the 'props' such as the stamps and the children to try and get different photos. 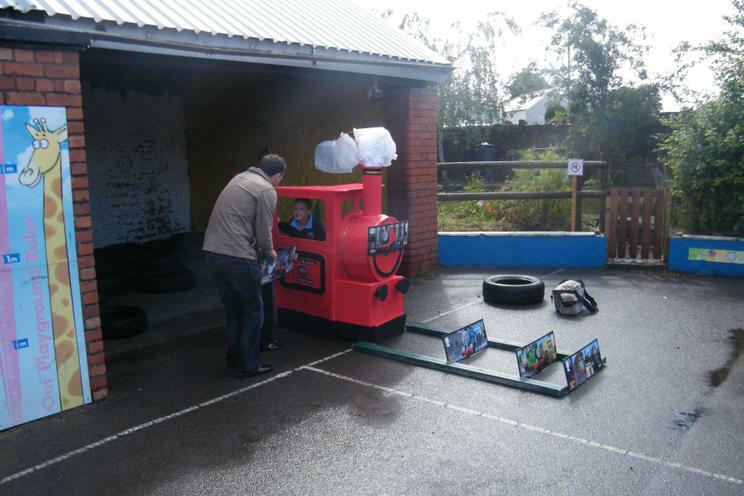 It was not easy as there were lots of showers so one minute it was bright sunshine the next it started raining! 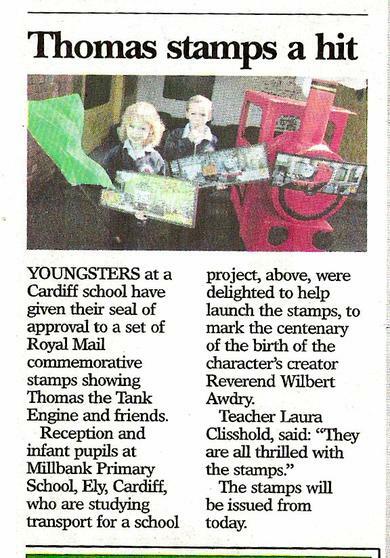 We are always keen to promote stamps at Millbank. 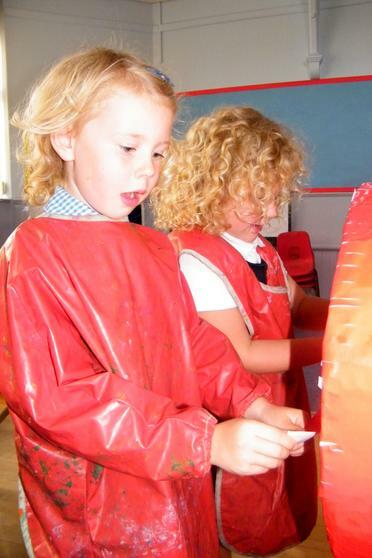 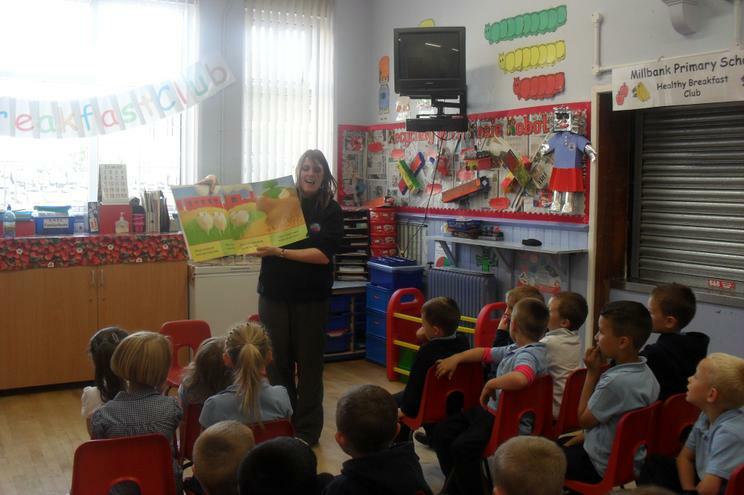 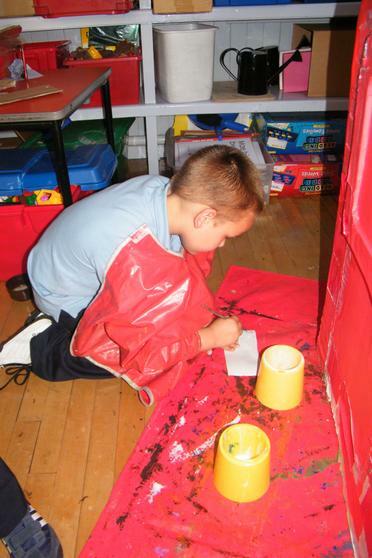 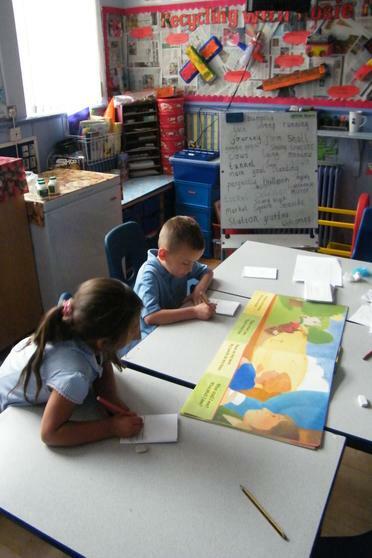 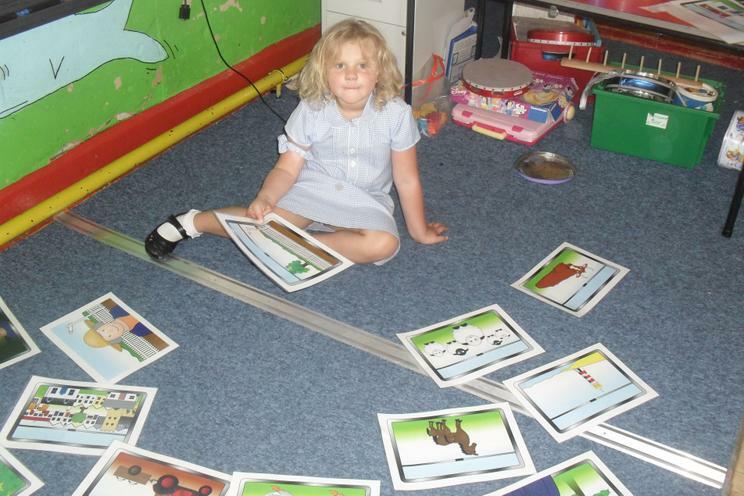 These are just one of the many ways to stimulate a child's interest and develop an enthusiasm for learning. 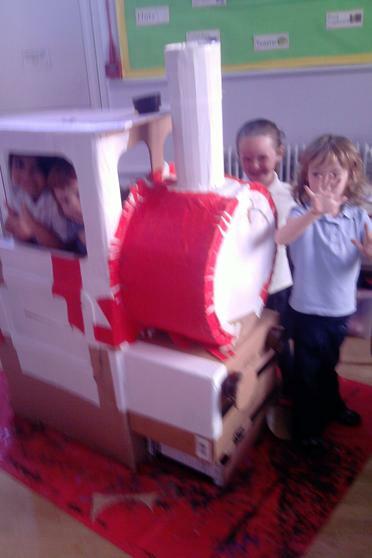 The children often design their own First Day Covers. 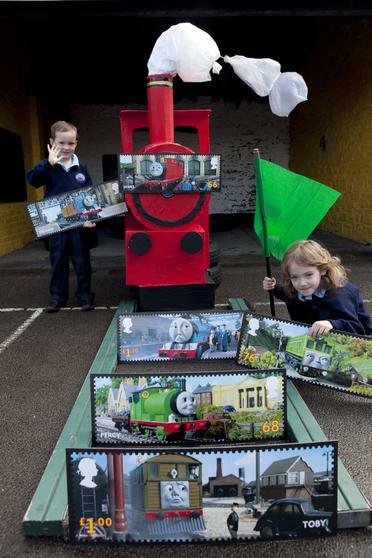 Even as a family talking about the Rev Awdry might encourage the children to read the Thomas books or other books on trains, hopefully it might encourage them to write some stories. 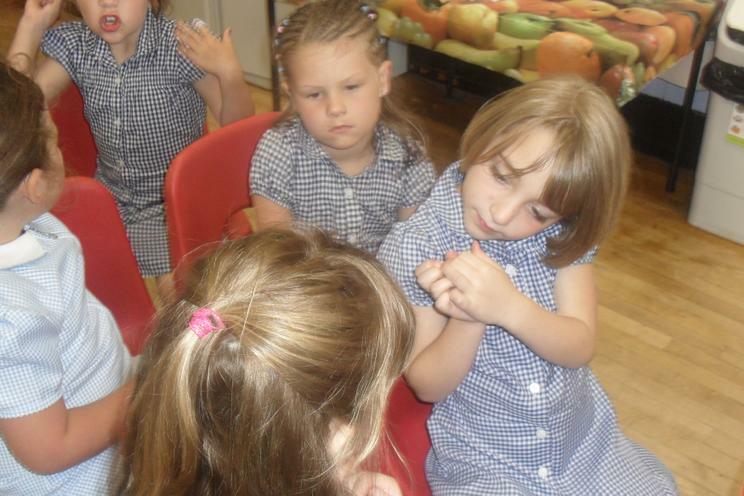 Stamps themselves are a great fun way to learn. 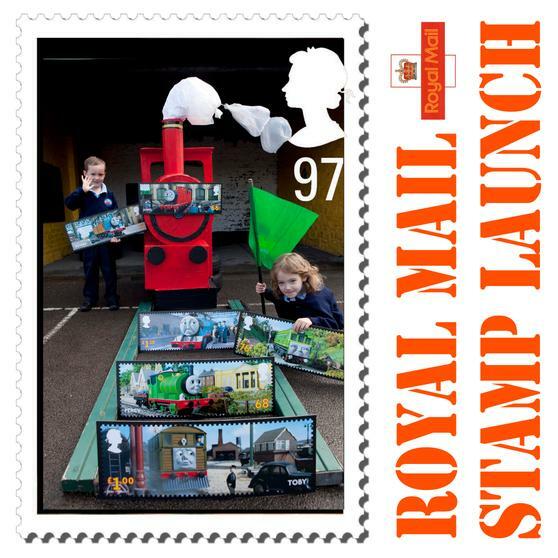 Some of the top illustrators, graphic artists and photographers in the UK all compete to have their work featured on stamps. 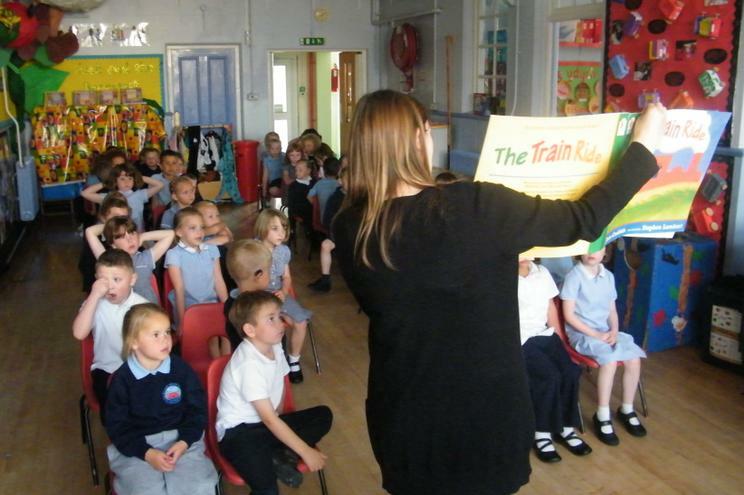 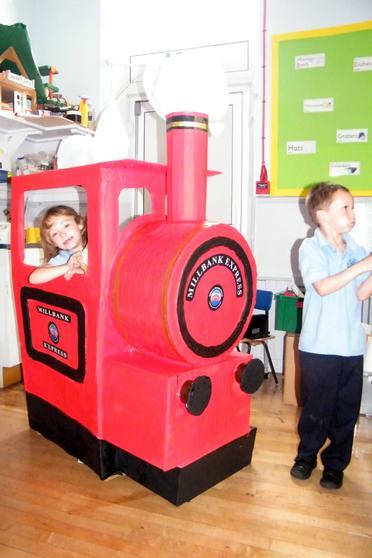 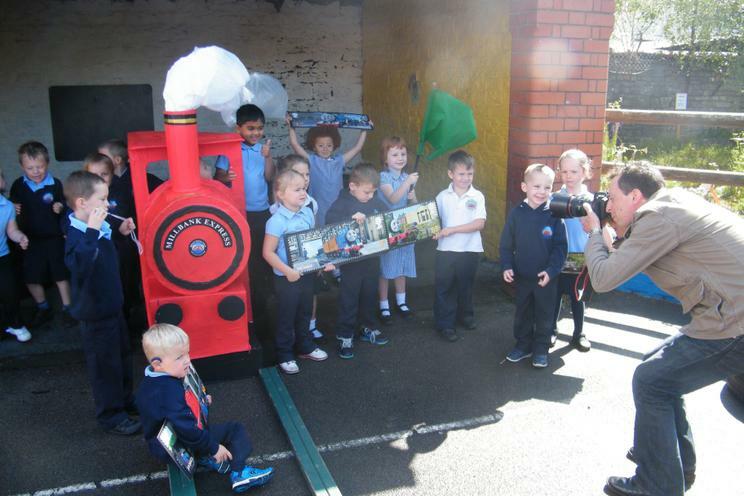 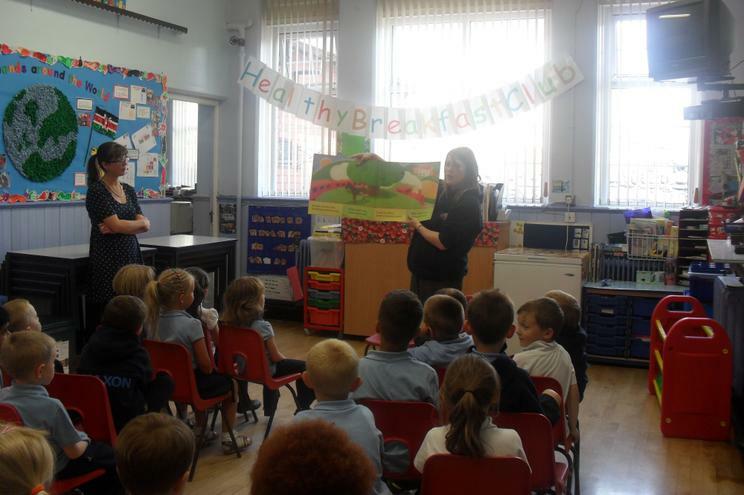 The topic for this term was TRANSPORT and the children made the train to play with as part of that and for their Class Assembly. 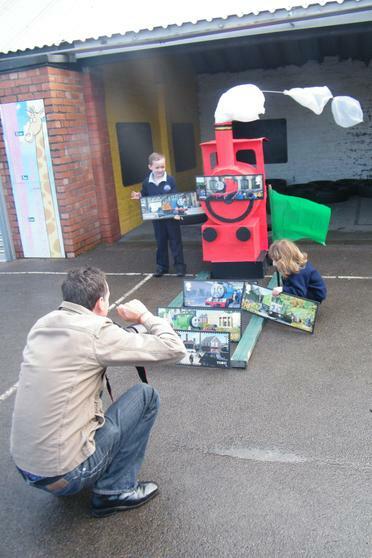 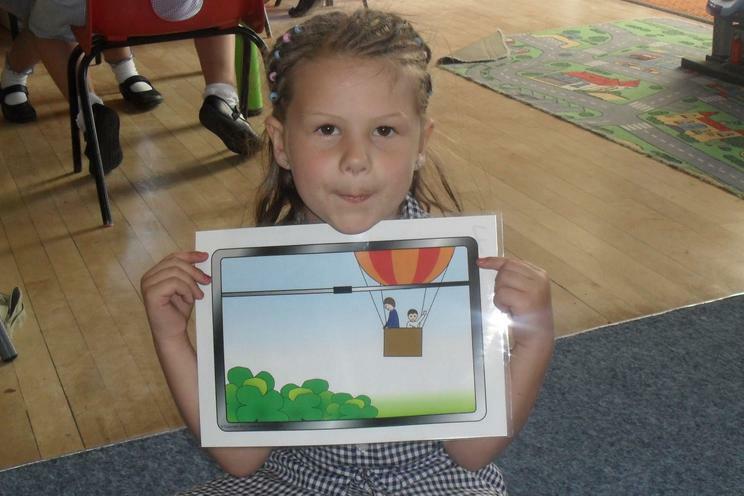 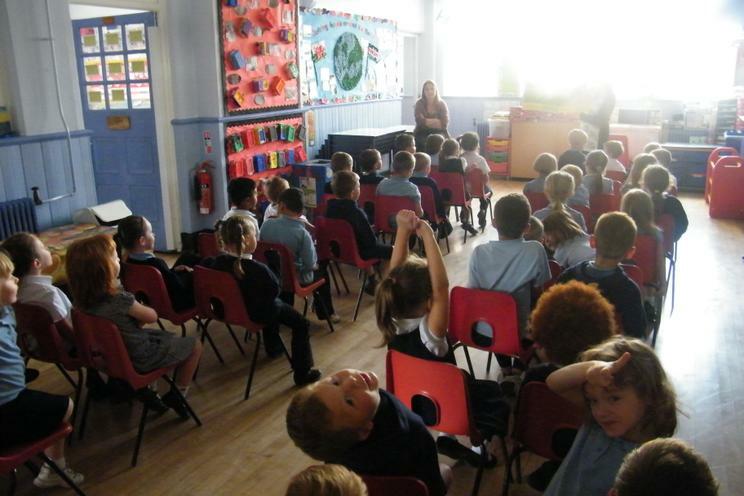 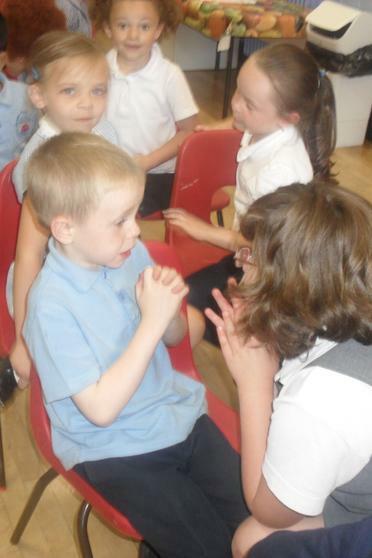 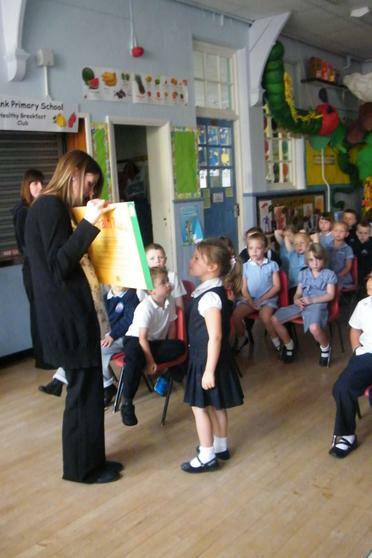 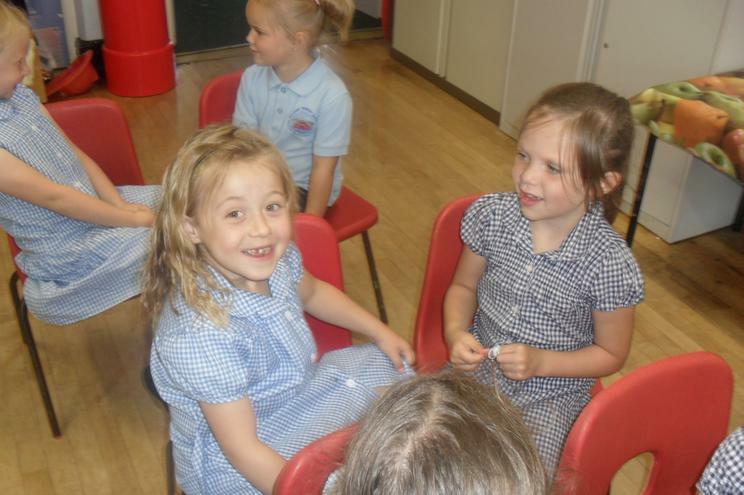 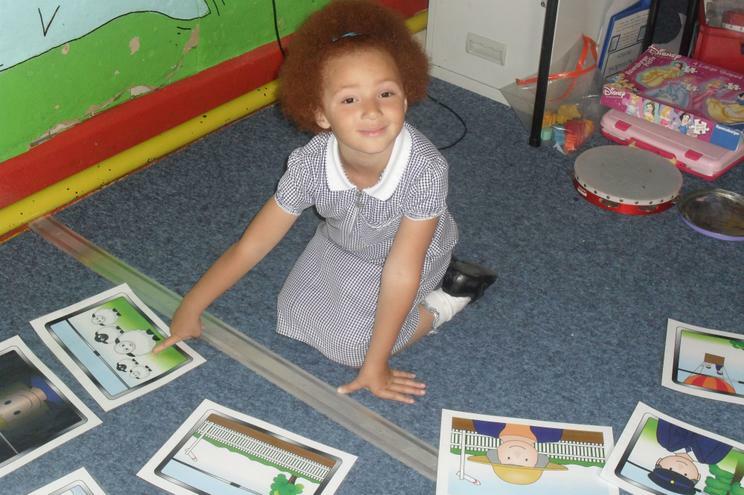 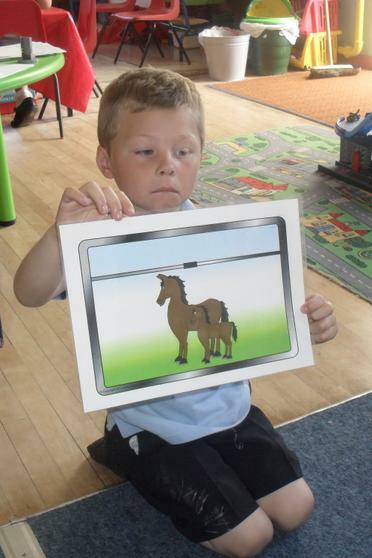 The children tried to be a creative and versatile as Nick when they took their photos of that event. 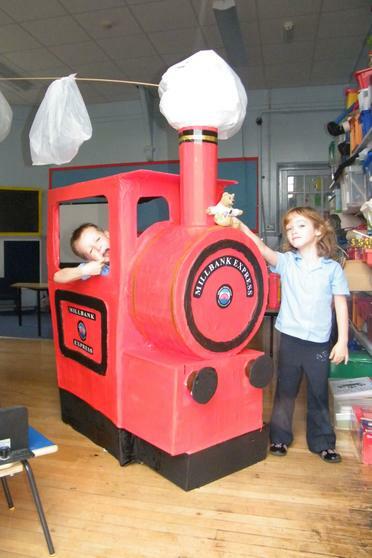 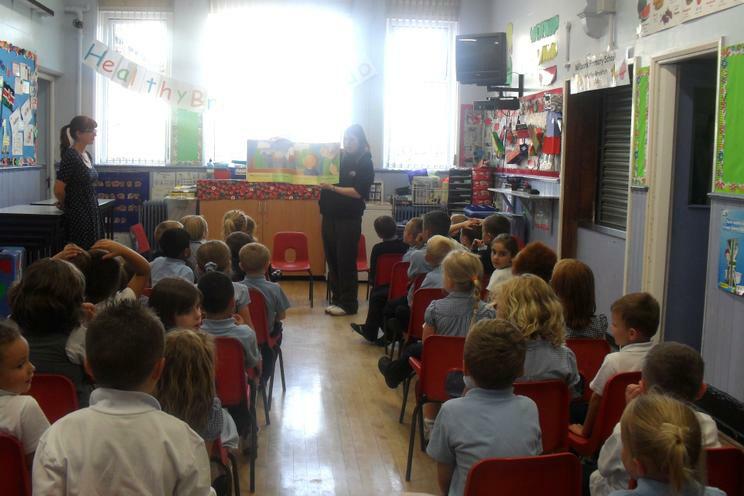 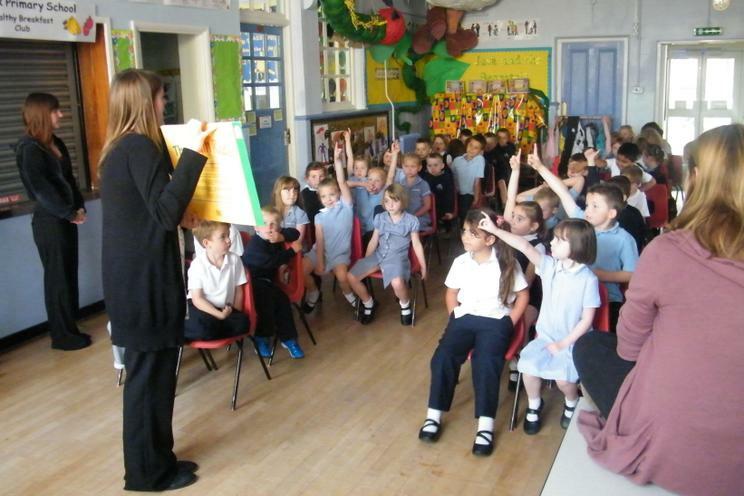 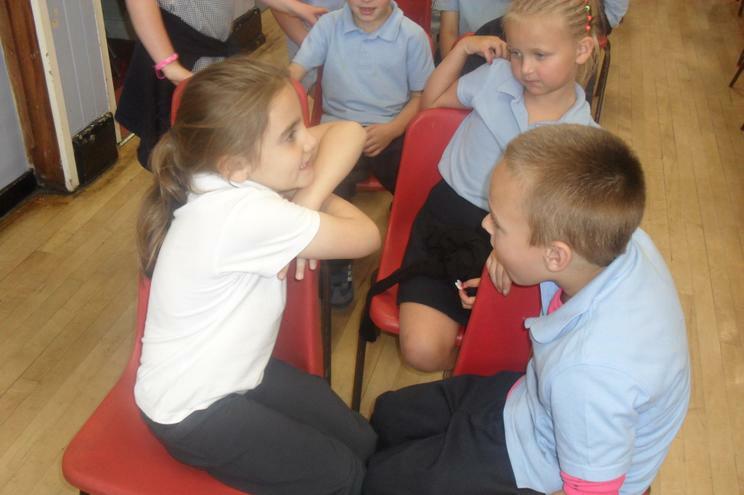 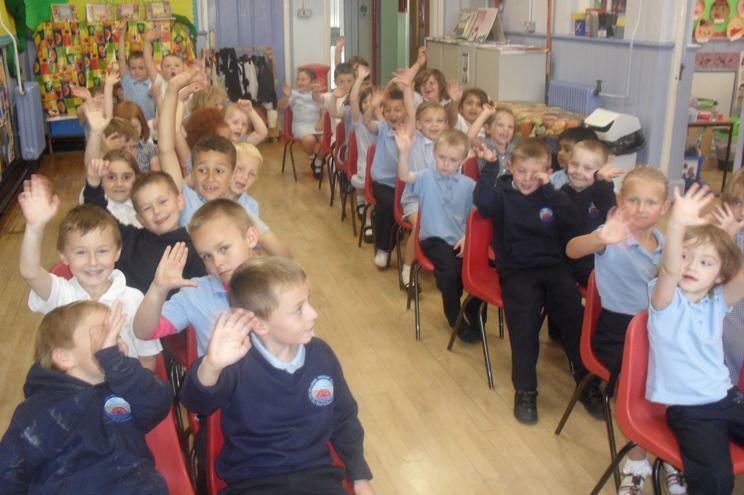 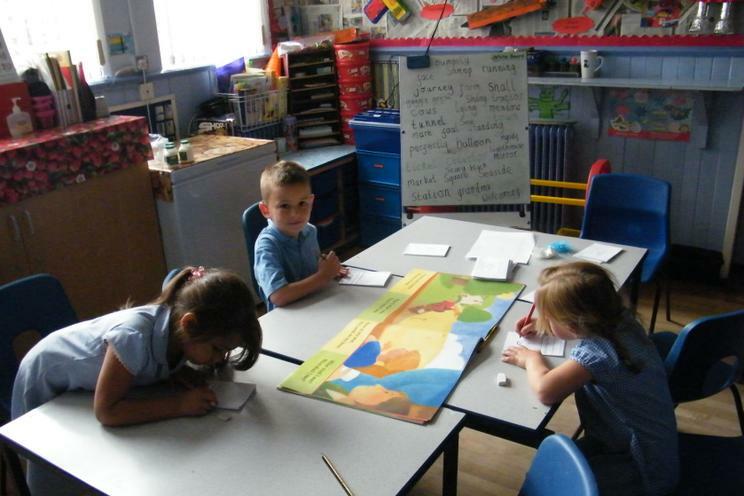 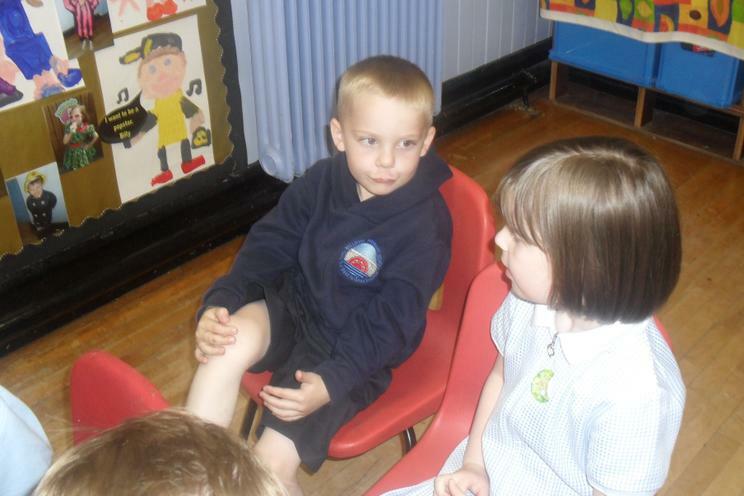 They infants rode on a train when they visited Cardiff Bay later on in the term. 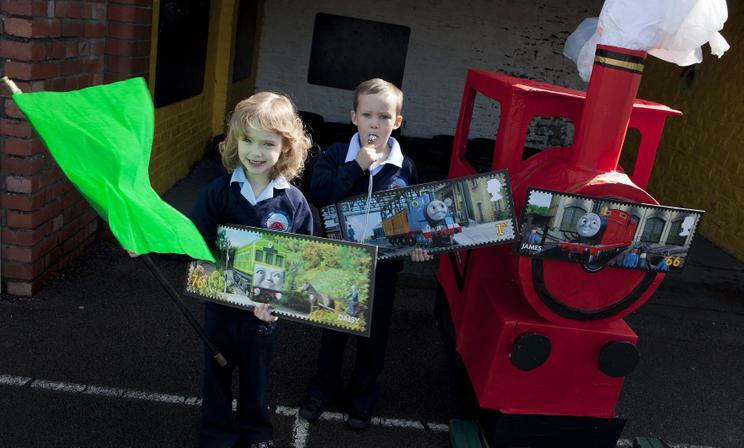 All of the children kindly received a special presentation pack of the lovely new stamps worth £8.10 to encourage them in their creative work. 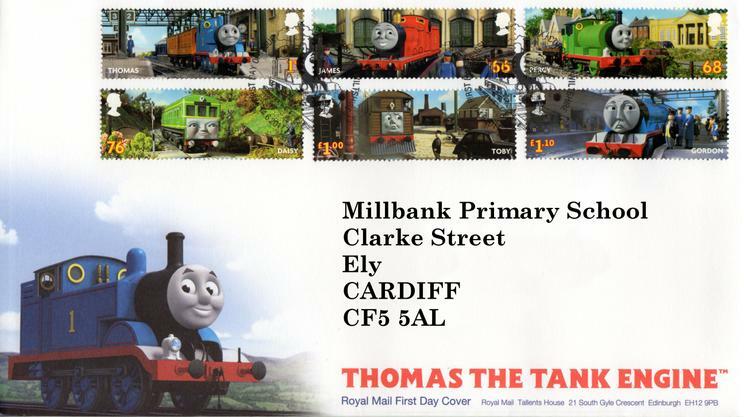 We all want to say a big thank you to the Royal Mail for that.